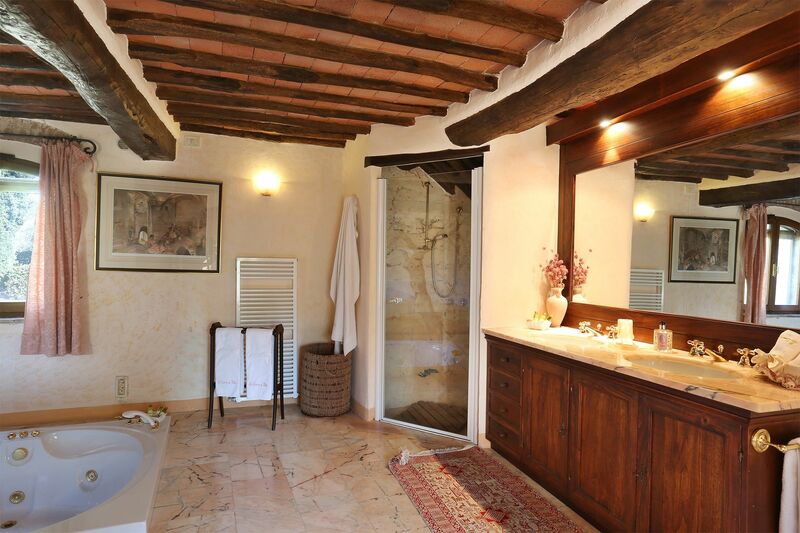 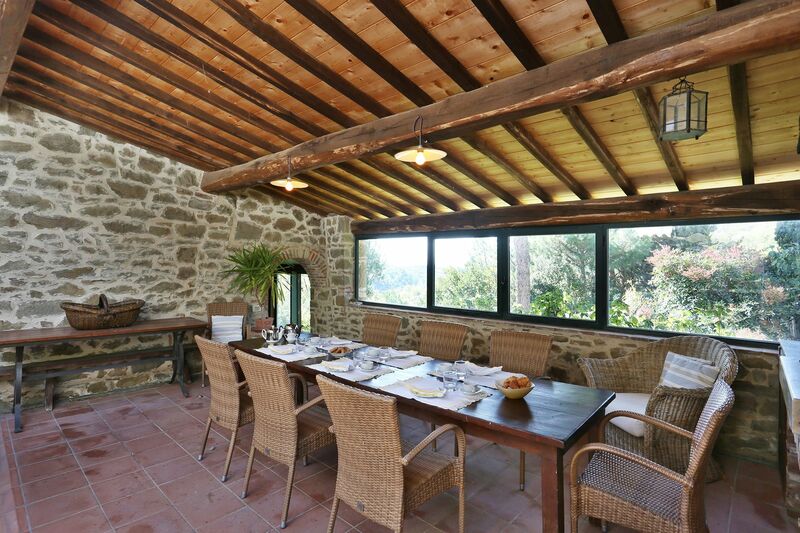 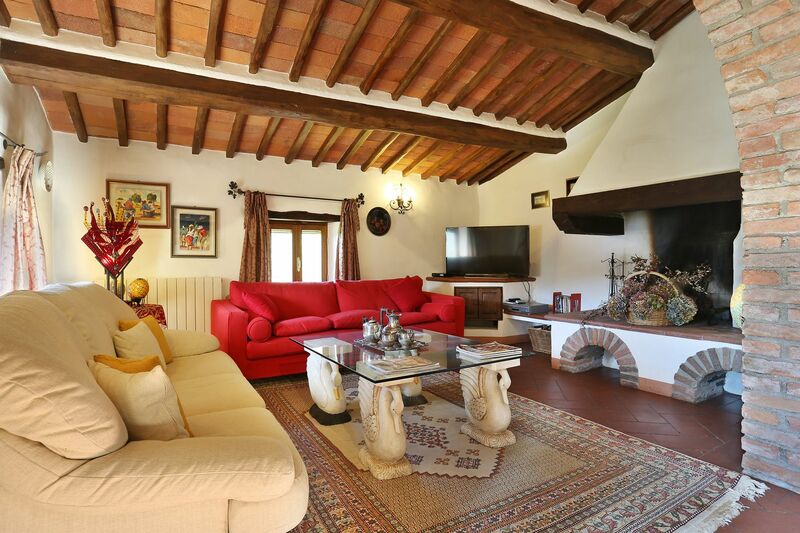 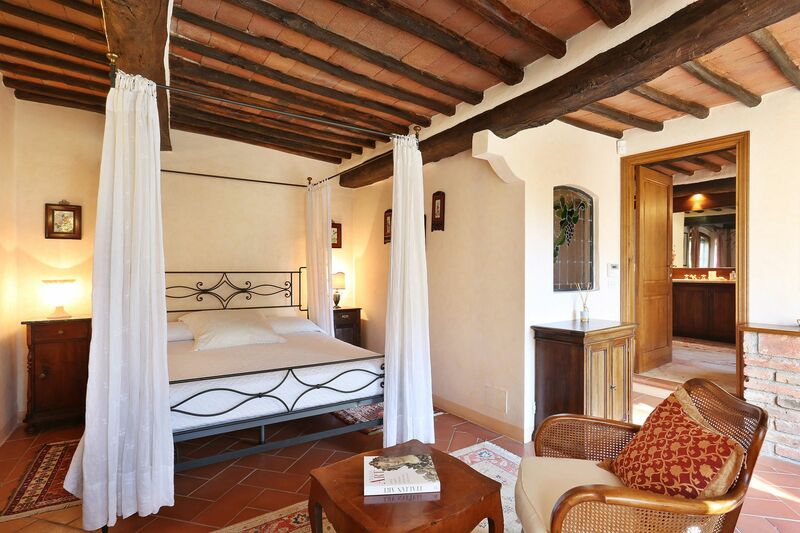 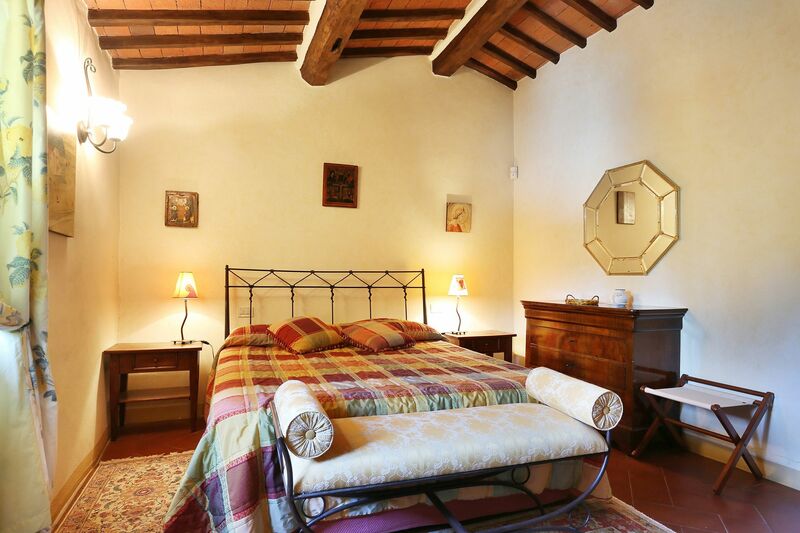 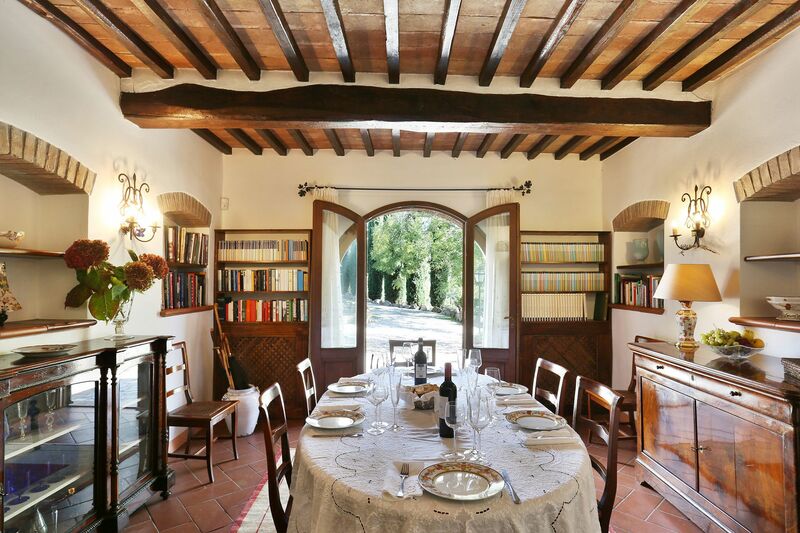 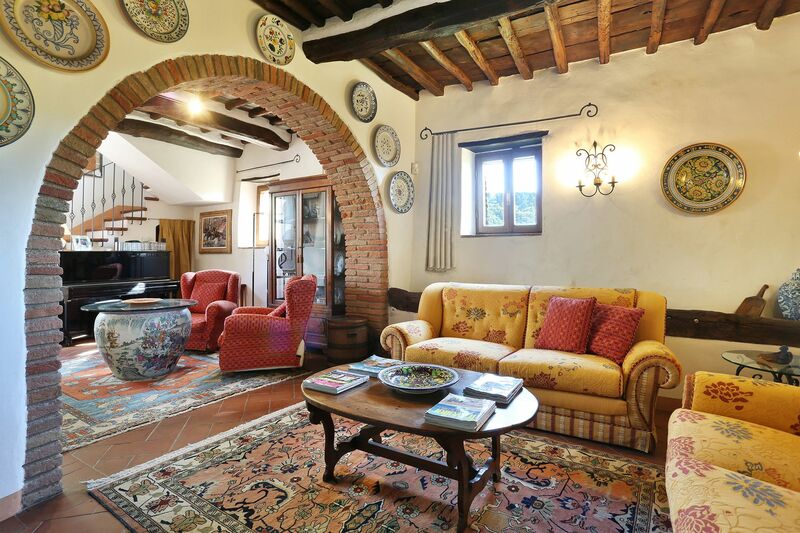 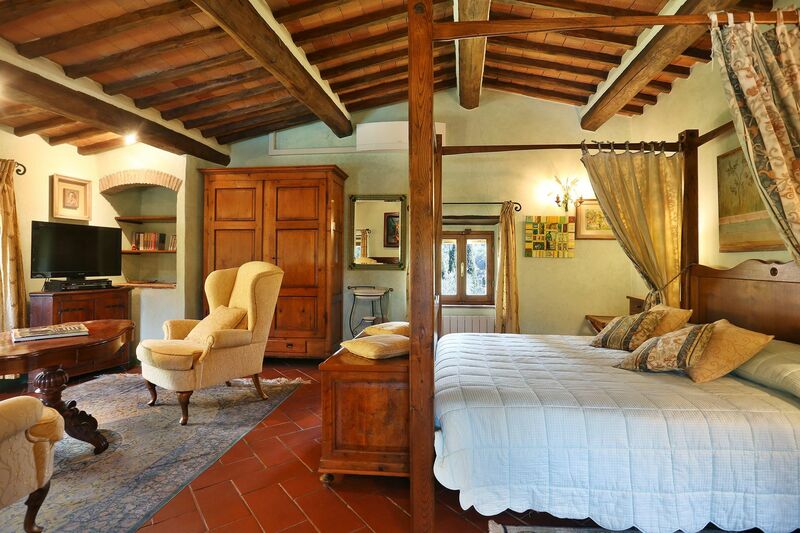 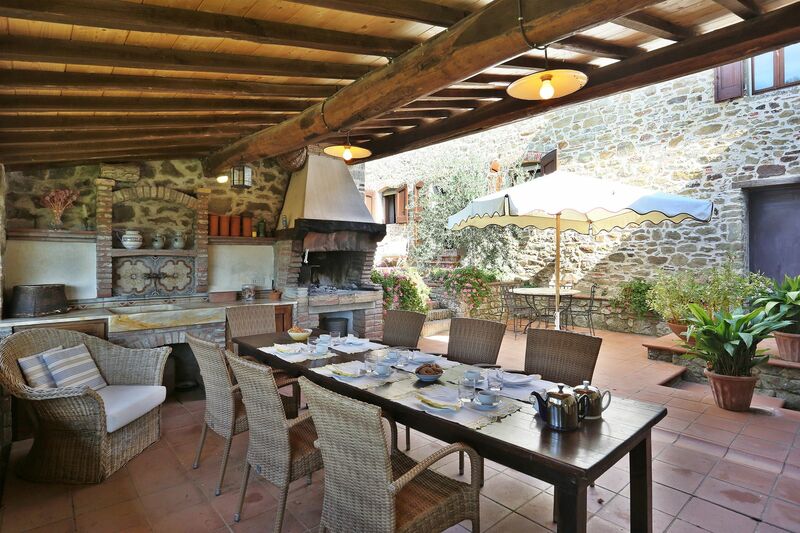 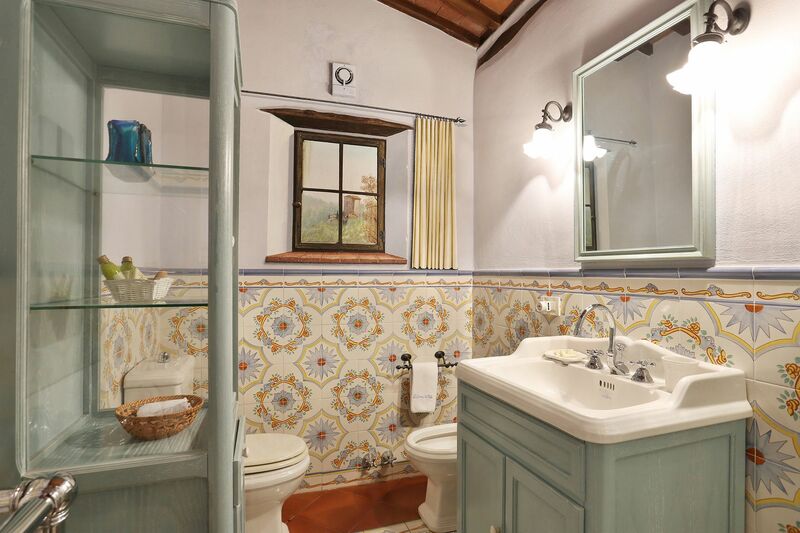 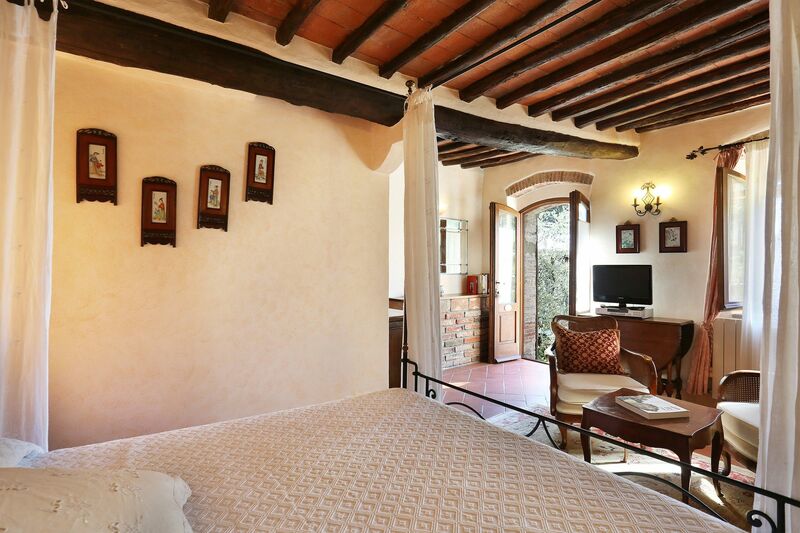 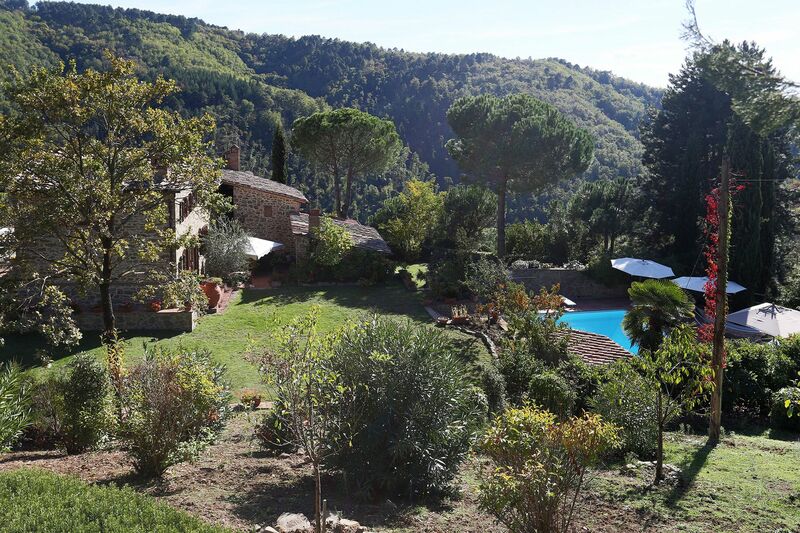 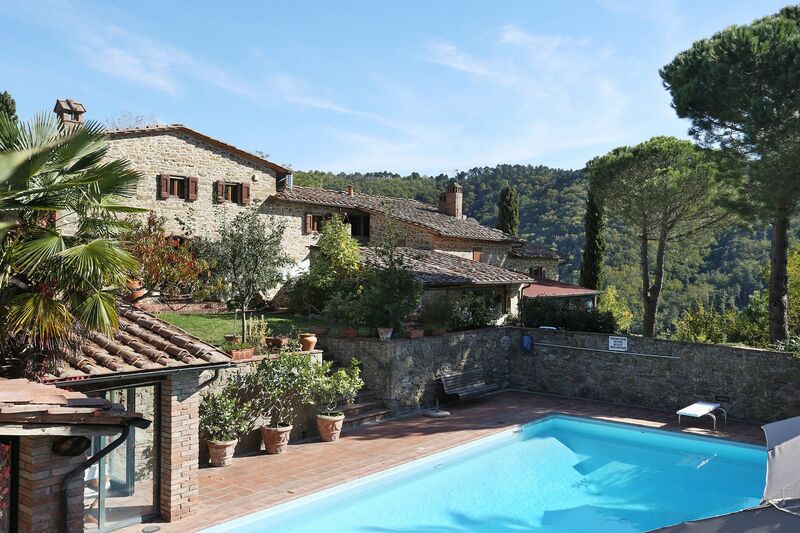 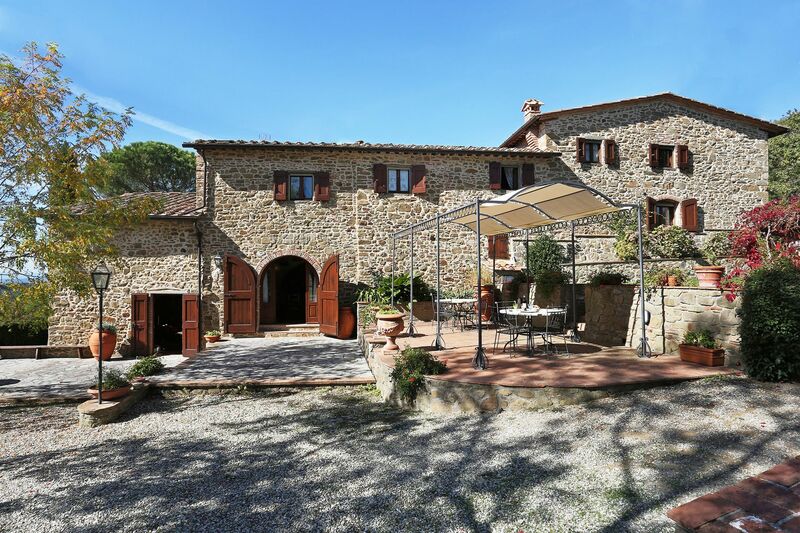 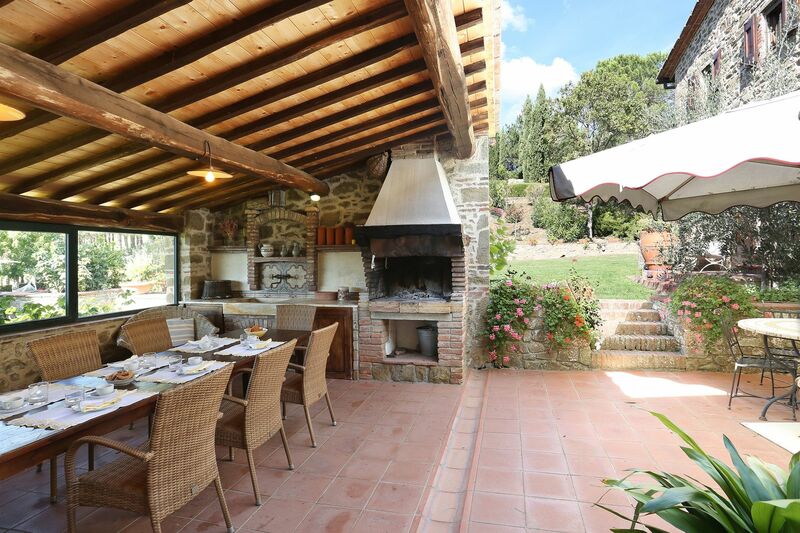 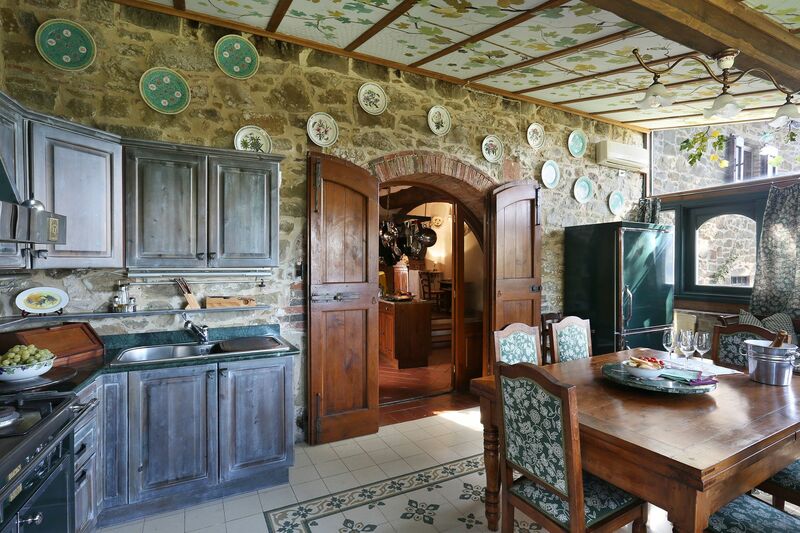 This stone built property is located in a very secluded and panoramic location in the heart of Chianti Classico, 5 km from the village of Gaiole in Chianti. 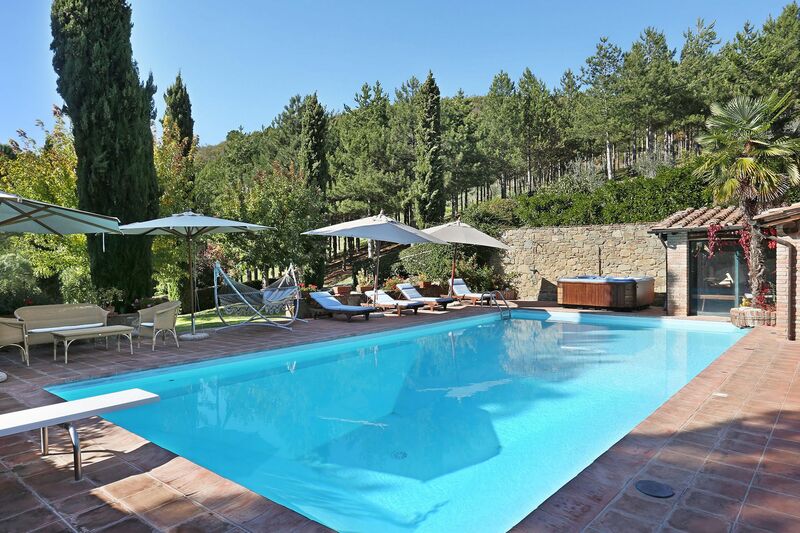 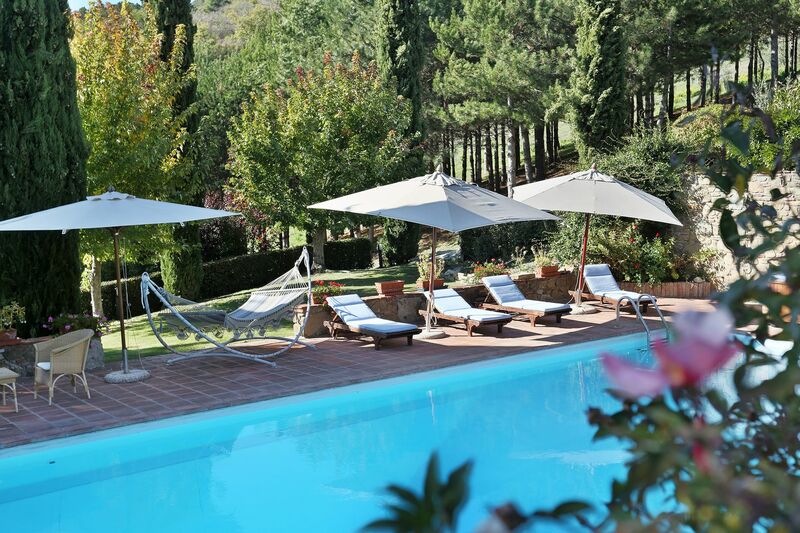 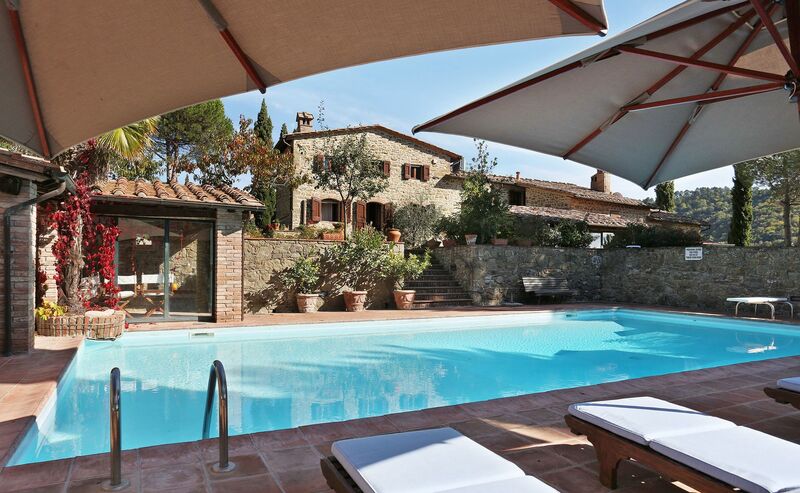 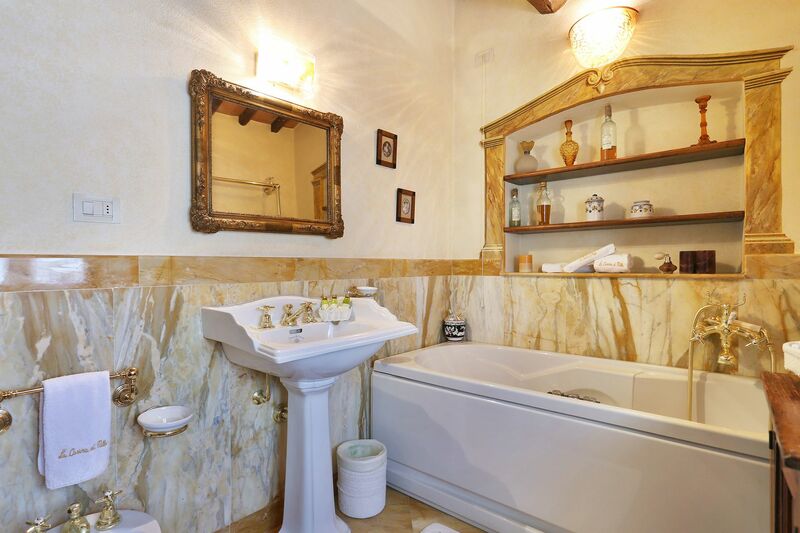 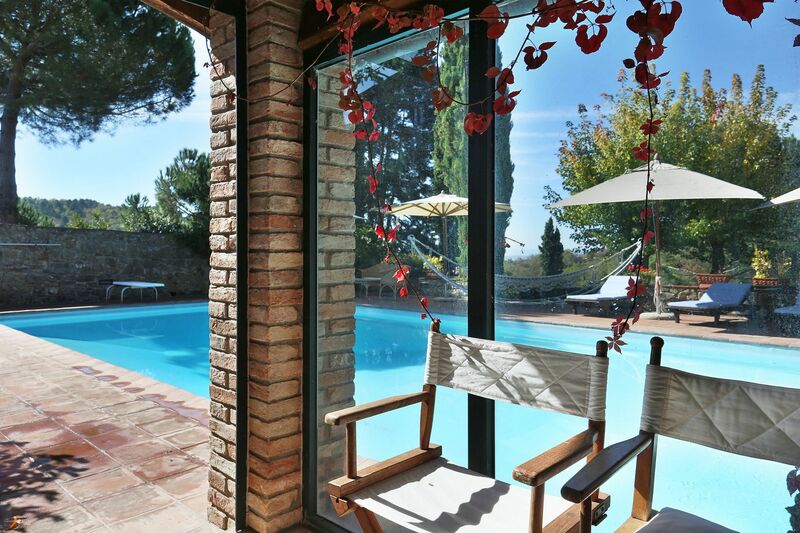 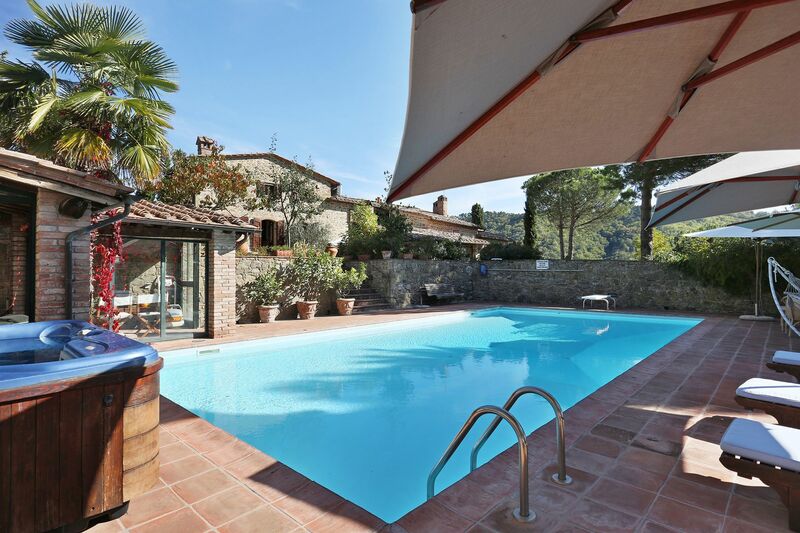 Perfect for those who would like to explore this part of Tuscany as well as enjoying 'al fresco' dining in its comfortable covered terrace with BBQ or relax either by the well- furnished pool (12m x 6m) or in the well-maintained garden. 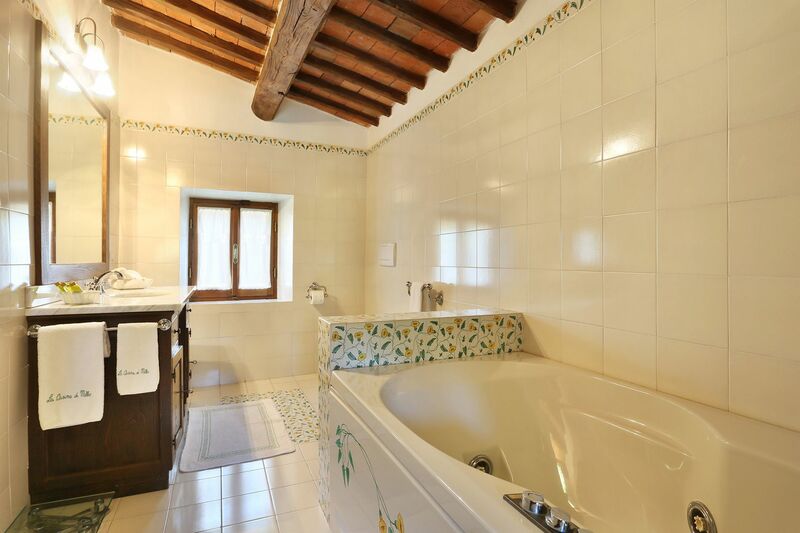 One of the double bedrooms with en-suite bathroom and jacuzzi has its own independent entrance for those looking for privacy. 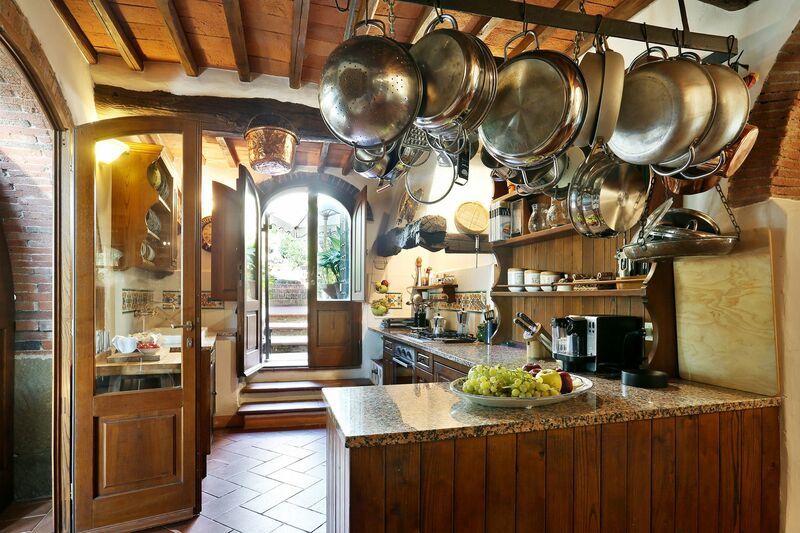 Casina di Mello is a great choice for those who enjoy cooking, as the owner have furnished this property with two communicating kitchens (not professional), as well as for those who like comforts. 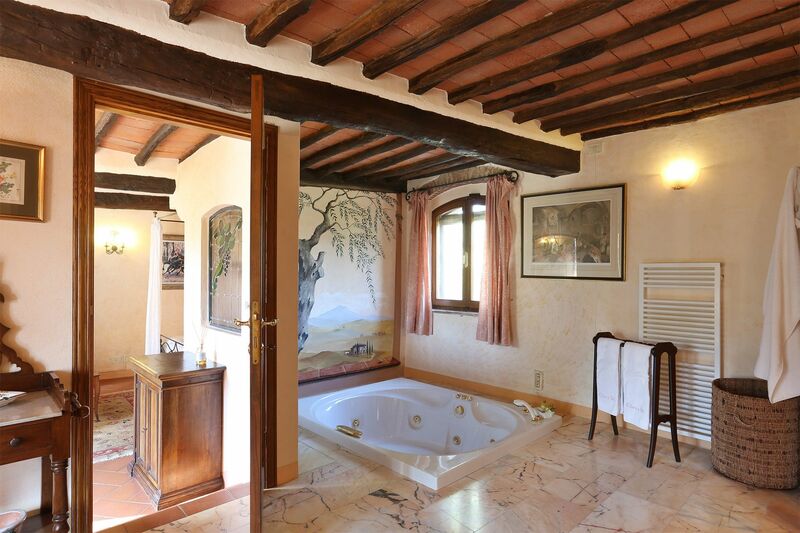 Indeed the spacious bedrooms have air-conditioning, en-suite bathrooms with either Jacuzzi baths or water-jet showers. 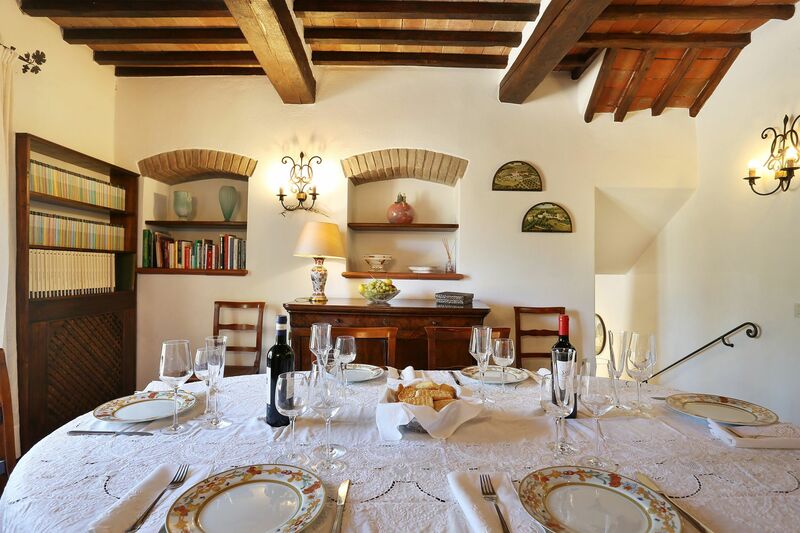 For those looking to enjoy some wine, near the property there are many estates offering wine tasting among which the renowned Castello di Brolio. 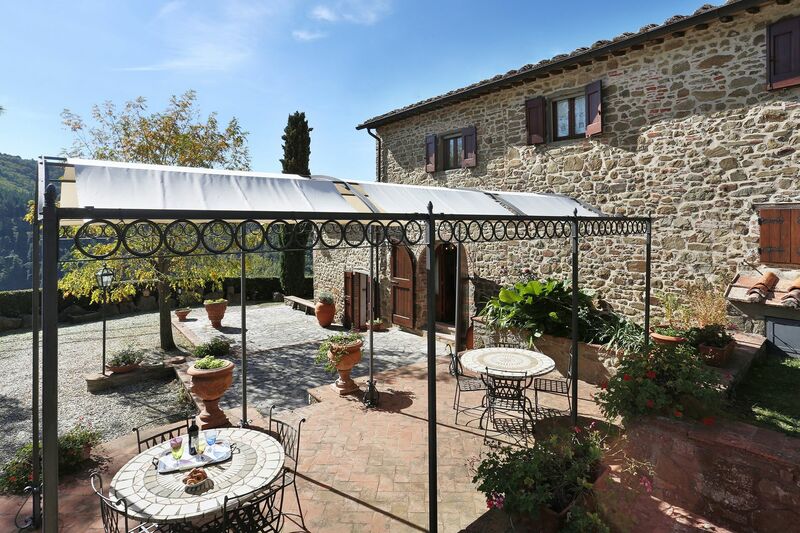 While for those who would like to explore Tuscany, the beautiful city of Siena is just 30 km away while Florence is 60km approximately. 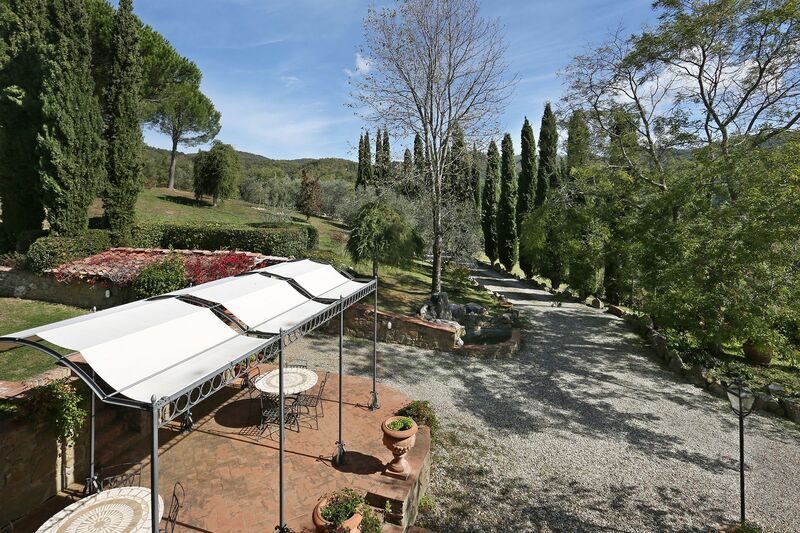 There is a 2.5 km unpaved road leading to the property thus not ideal for cars with low suspension. 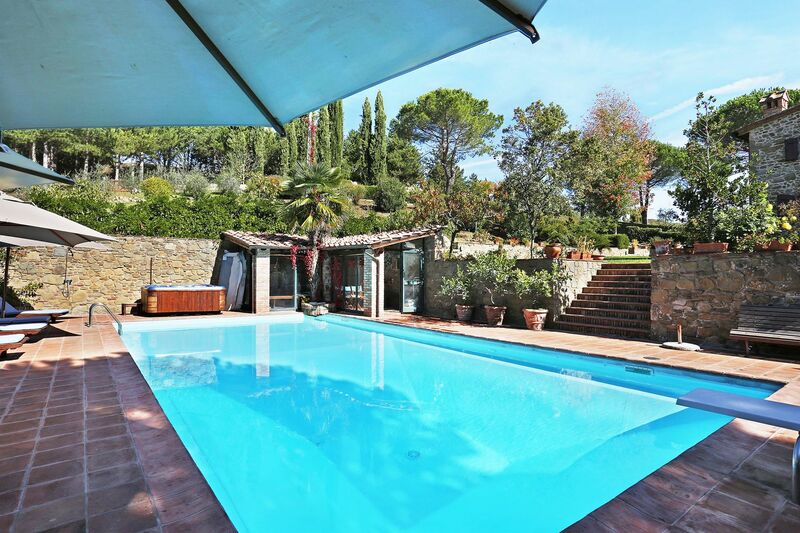 Max depth of the pool 3m. 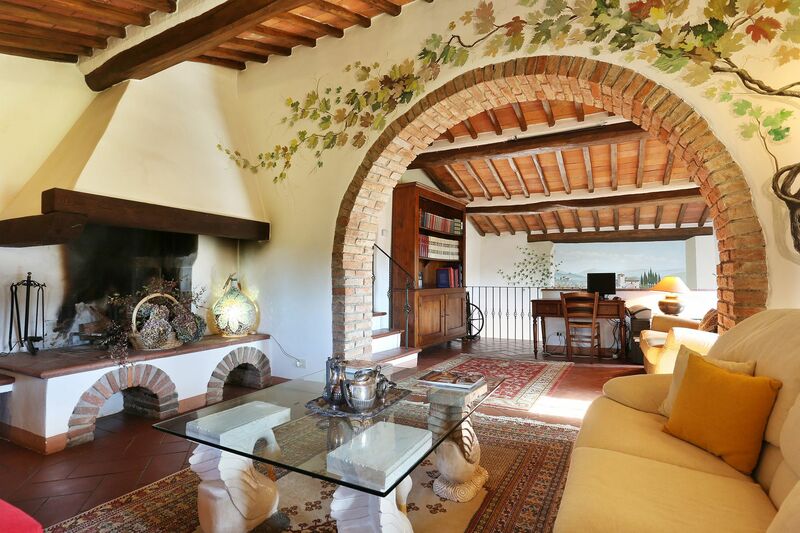 Sitting room with large open fireplace and piano; dining room; kitchen with dishwasher and fridge, opening to terrace with outdoor dining area. 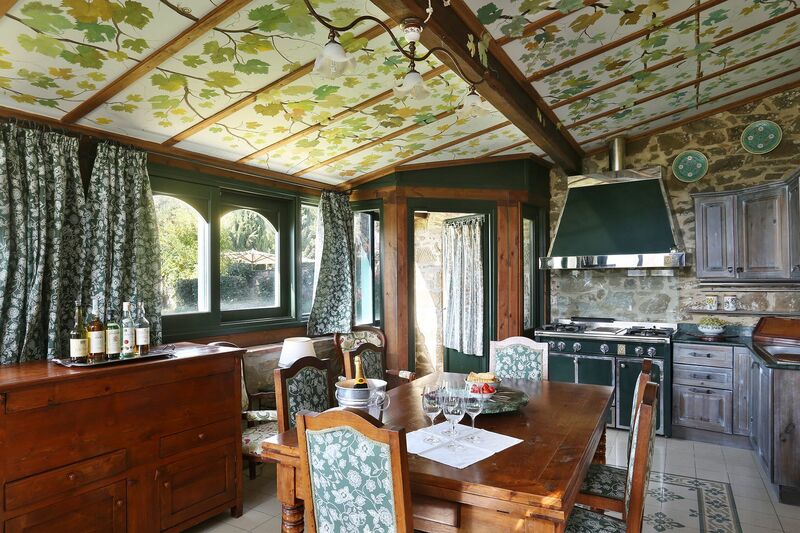 Another dining area, just off kitchen, with additional large oven/hob, sink and fridge/freezer, and doors to garden; Guest bathroom; double bedroom with 4-poster bed and en-suite bathroom Jacuzzi bath and separate shower. 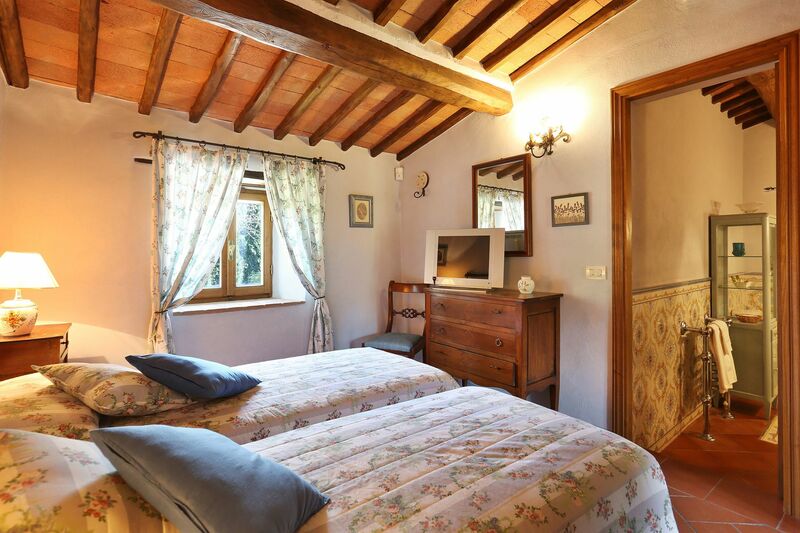 This bedroom is accessible only from the garden. 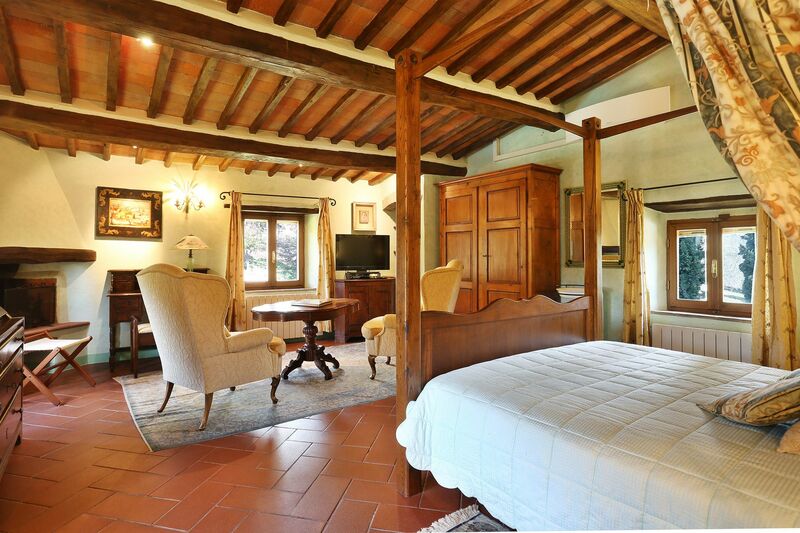 Sitting room with large fireplace; double bedroom with en-suite bathroom (whirpool tub) ; twin bedroom with en-suite shower room; large double bedroom with 4- poster bed, sitting area and private bathroom (whirpool tub) .